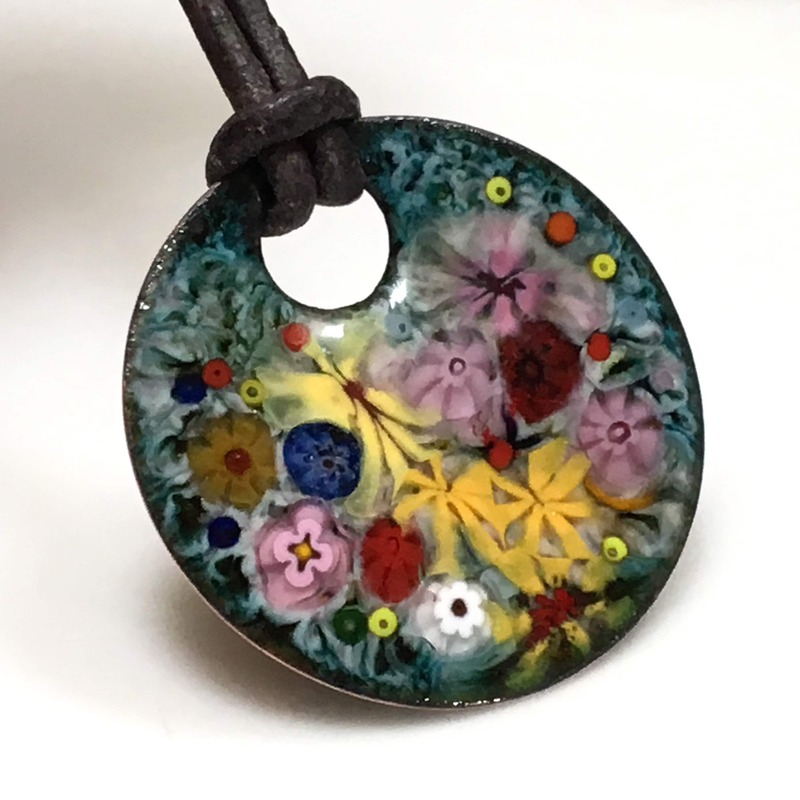 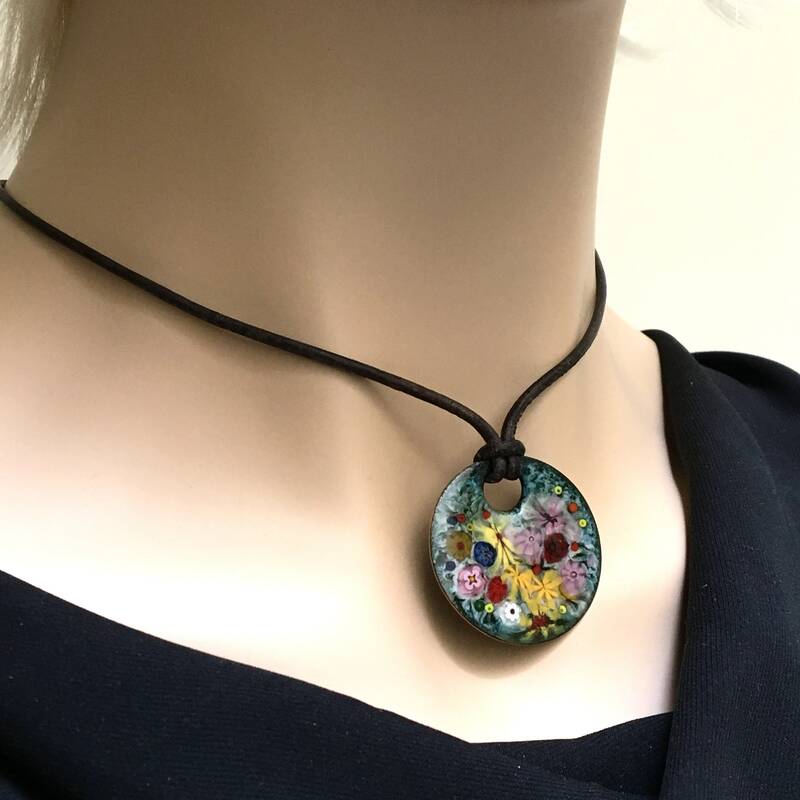 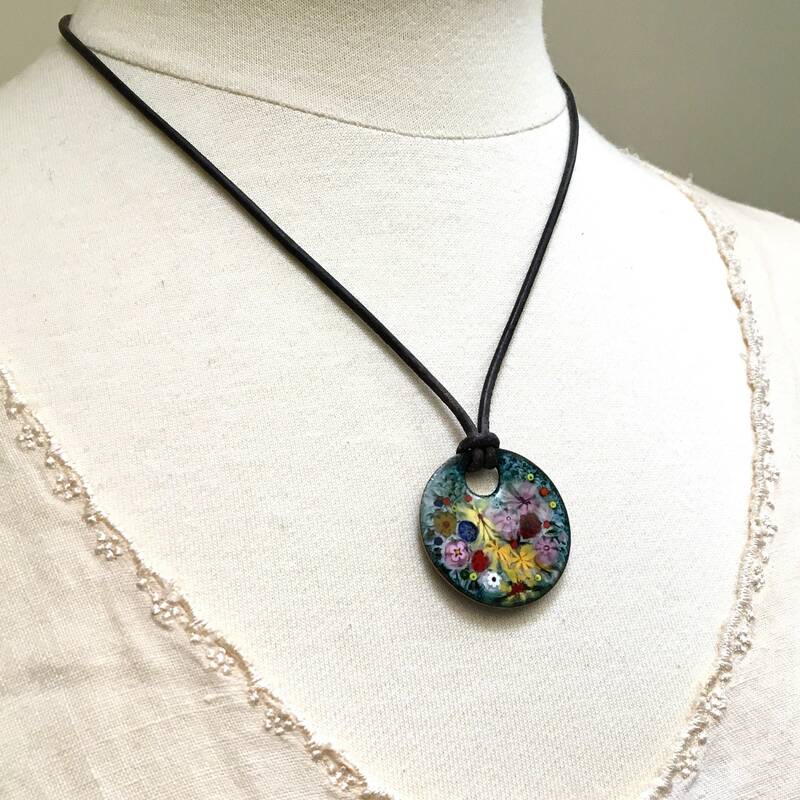 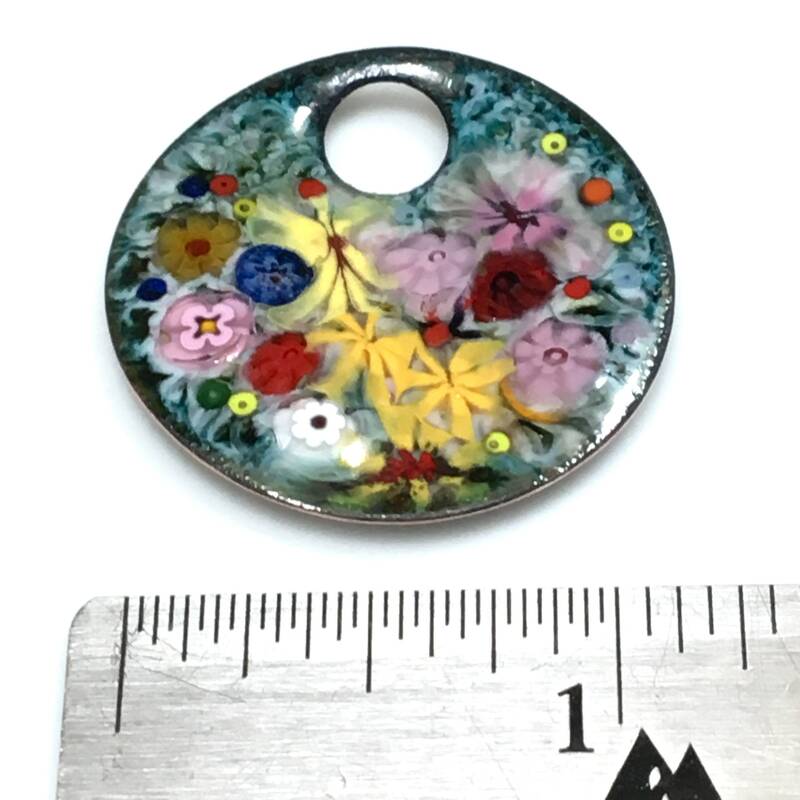 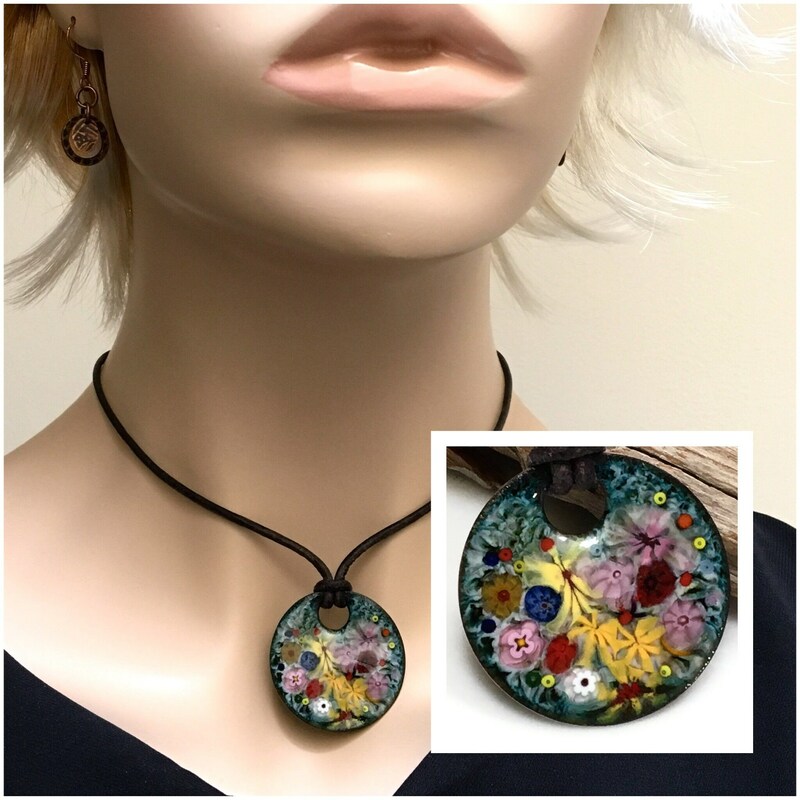 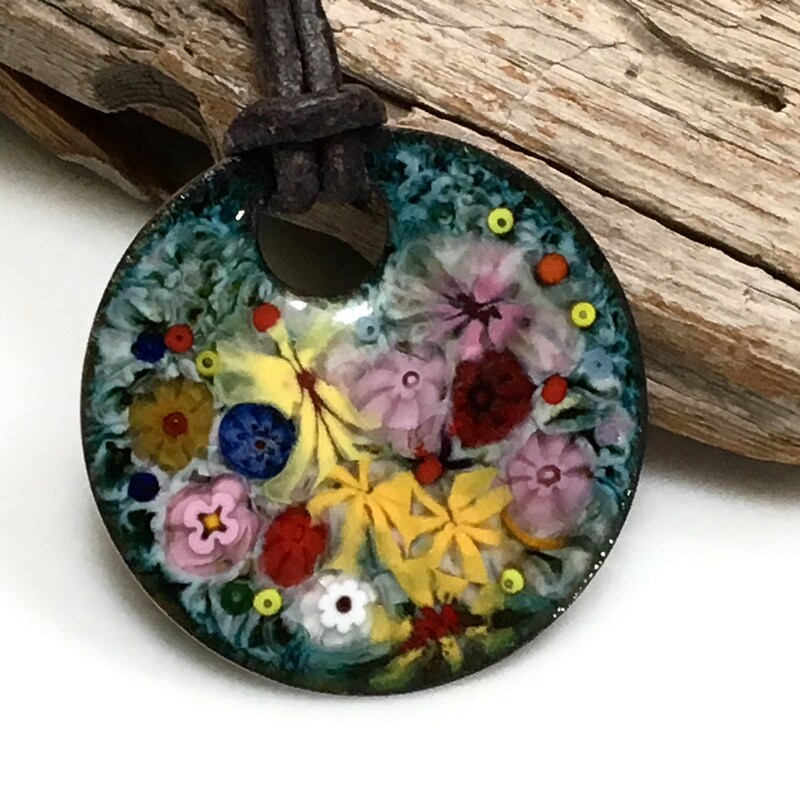 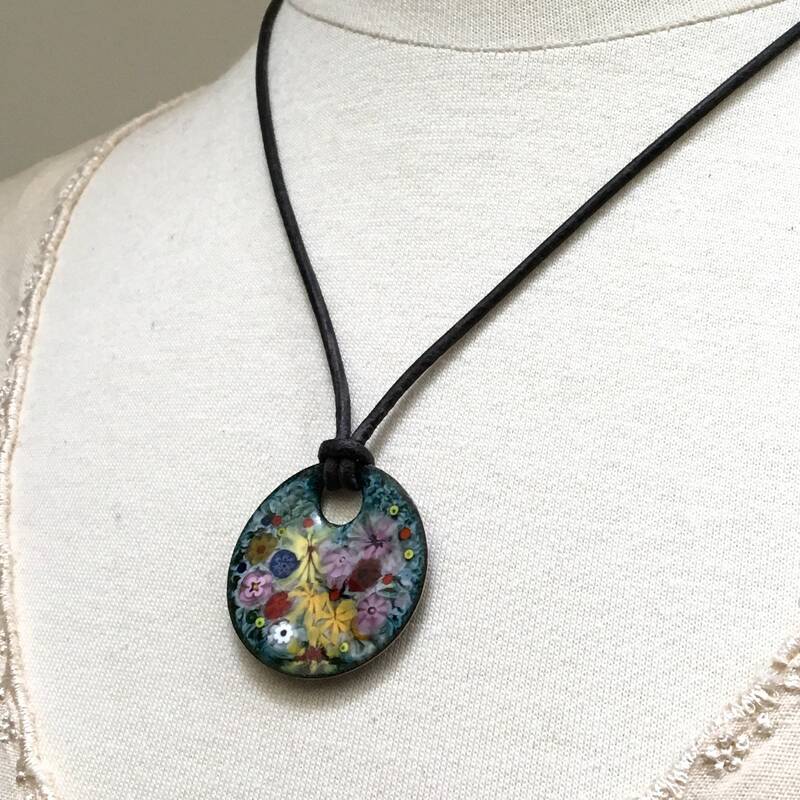 My colorful, original pendant is designed to easily add a chain, a cord, a ribbon, or leather cord of your choice with an easy “larks knot” as shown. 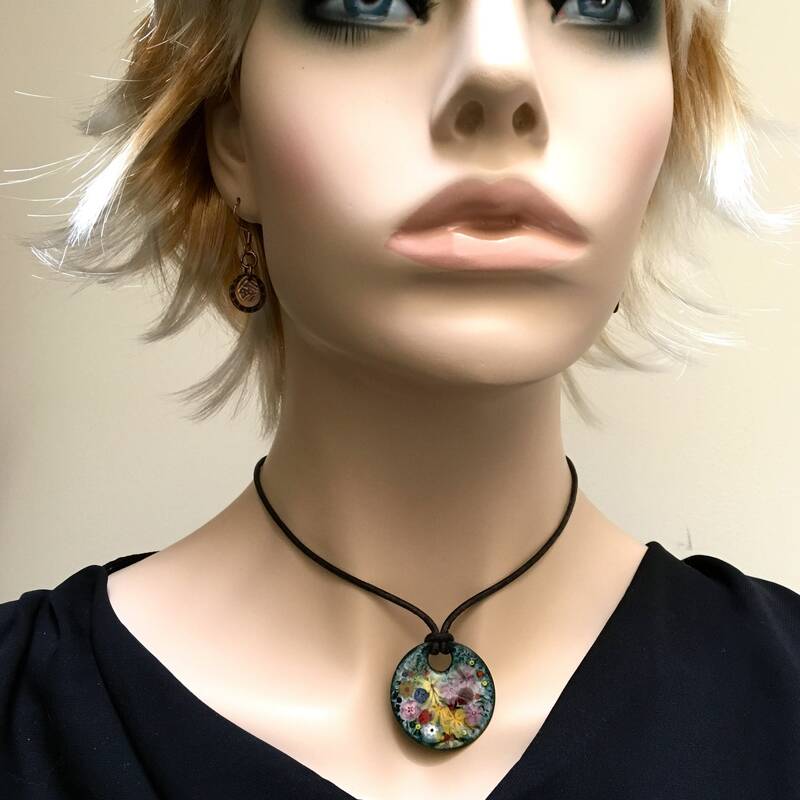 Can be purchased alone, with a leather cord, or with a custom stone & glass beaded chain as shown on the models. 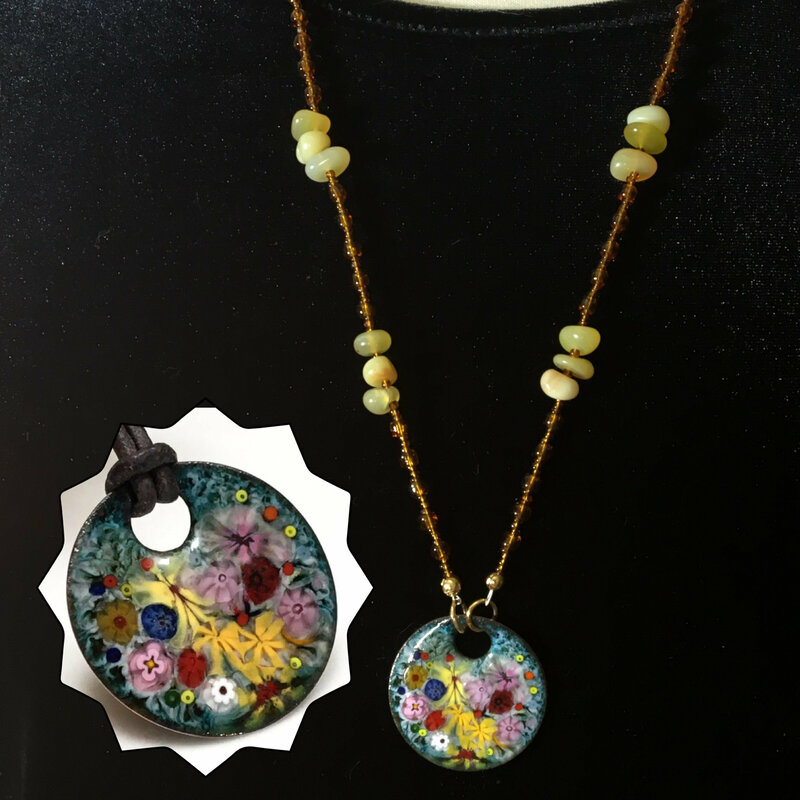 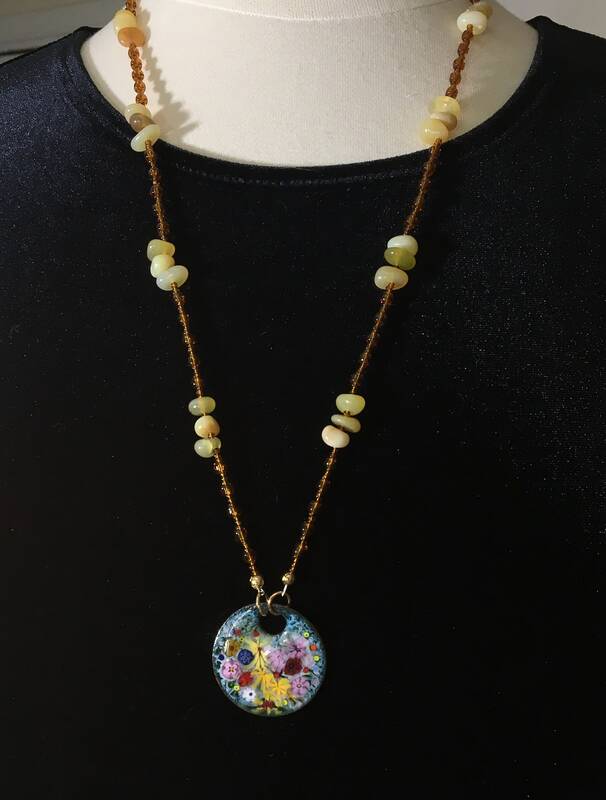 The beaded chain features “wax opals” and Czech glass beads in shades of amber & mellow yellow that coordinate beautifully with the enameled pendant.